You took one philosophy class and now you're the queen of nature versus nurture? It's not like there's Netflix where I am, you working out is my main source of entertainment. 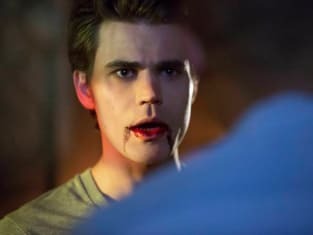 The Vampire Diaries: Watch Season 5 Episode 4 Online! The Vampire Diaries Round Table: "For Whom the Bell Tolls"
The Vampire Diaries Music: "For Whom the Bell Tolls"